"The Capitan's Heart" Black and White Artistic. 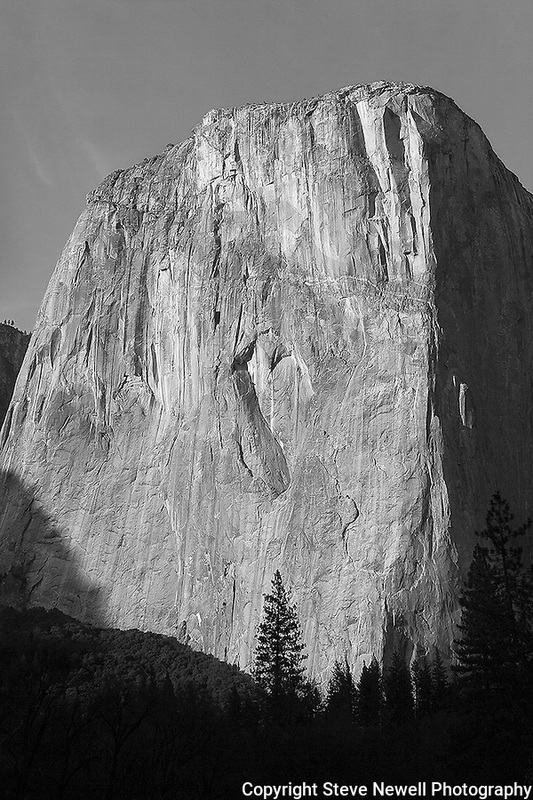 El Capitan, Yosemite National Park. I made an adjustment smoothing out the texture of the rock giving it more of an artistic impression. At certain times of the day the sunlight allows you to see the Heart shaped natural rock carving on El Capitan located in Yosemite National Park. This Incredible monolith changes colors drastically at sunsets. Rock climbers climb up the shear overhanging granite by the thousands every year. I have climbed all of the big walls in Yosemite including El Capitan four times. Yosemite Valley is a very special place in the world and is a must visit destination for all.